Tuesday, Iowa Gov. 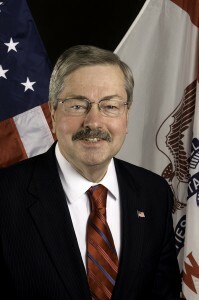 Terry Branstad issued a proclamation of disaster emergency for two counties in response to recent severe weather. The governor’s proclamation allows state resources to be utilized to respond to and recover from the effects of severe storm systems that affected Guthrie and Hamilton counties beginning Aug. 28, and continuing. In addition, the proclamation also activates the Iowa Individual Assistance Program for Guthrie and Hamilton counties.